William Johnsson, editor of the Adventist Review for more than two decades, is one of the speakers at the upcoming Adventist Forum conference, which will examine the atonement and the character of God. Here he answers questions about his book on Jesus’ radical teachings, his greatest insights about the Christian life, and how Adventist media has changed (in a way that he says would make Uriah Smith apoplectic!). Question: You are on the list of presenters for this year’s Adventist Forum conference in September. I heard you speak about your imam friend at the Adventist Forum conference in Chattanooga in 2013. How would you say that friendship has affected the way you read the Bible and how you think about Jesus? Answer: He was more than an imam; he was a Sufi sheikh with a following of millions in the Middle East and Europe. He loved Jesus, believed passionately that Jesus is coming soon and that Allah had instructed him to join with Seventh-day Adventists to tell the Muslim world. Our friendship was deep at the human level and also at the spiritual. I miss him keenly. And this week you are in Australia to speak at a One Project gathering. Have you spoken for the One Project before? I believe they are using your book on Jesus as a focus? My involvement with the One Project is recent. We were invited to speak at the Seattle gathering in February of this year and were enormously blessed. So when the organizers asked us to join them in Oz this August we gave an immediate Yes. Any time or place where the focus is on Jesus is where we want to be. Yes, the material of my new book will be the focus of the the One Project in Oz. Do you still travel frequently? Do you plan to slow down anytime soon? Would you mind if I asked your age? I am 82. I have slowed down! I have become very selective in taking appointments. My days are built around writing, gardening, and spending time with Noelene — we walk together every day. For me writing is a creative outlet; it makes me tired but it exhilarates me. To have unfettered time at last to write — I'm a happy person. Your two-volume book Jesus of Nazareth, published last year, is the culmination of a lifelong academic passion for studying Jesus. What would you say is the greatest insight that came to you when researching and writing the book? Yes, in several respects it is the culmination of a lifetime of reflection, teaching, preaching and writing about Jesus of Nazareth. Greatest insight: how radical Jesus was/is! He shocked the people of His day; He shocked/shocks me. Have you been planning this book for much of your life, would you say? How long did it take to actually write it? Are you happy with how it turned out? At least 50 years of reflection; actual writing about two years. The work was completed in 2014, my annus horribilis — heart attack, bypass surgery, complications. I believe it was God alone who made it happen. I'm very happy with the result. It came out pretty well as I'd hoped, maybe even better. I gave it everything I had; it had to be the best I could do. The primary evidence: Matthew, Mark, Luke and John. They agree and they disagree. Most people who write on Jesus focus on just one account, or they cherry-pick to support a pre-conceived portrait of Jesus. I tried to be true to all the evidence. What new insights about the Christian life came to you in your research? So many. How dynamic, how disturbing Jesus was/ is. He's the no-baloney Man. Organized religion breeds a lot of baloney, in the first century or the 21st, in all religions, Adventism included. Jesus was real, authentic, wonderful, refreshing. And another insight: the kingdom of God isn't the same as the church! Very well. Only positive responses so far — no nasty letters or ugly calls. When I planned to write the book I mentioned it in passing to my dear friend Dr. Angel Rodriguez, who at that time was director of the Biblical Research Institute at the General Conference. He asked me to consider writing with college reading classes in view. BRI would publish it and promote its use worldwide. I thought about it for awhile and said Yes. So they are the publisher; they paid me a one- time fee; I receive no royalties. The book already has been translated and published in German. I wrote it as one volume, BRI split it into two — wisely, I thought, because 350-400 pages is pretty daunting for many readers. You are the author of more than 25 books and over a thousand articles. How has this book been different? What books are you most proud of? All my previous books have included material on Jesus; this one's totally focused on His life, teachings, and Passion. Every published work is precious to someone who loves to write. It's difficult to decide on favorites. For example, my Wising Up, which was simply a fun book never intended for the public, is something I still like to pick up and read. Among the more substantial works, Jesus: A Heart Full Of Grace, has been my favorite up to now. And not just because it proved to be a best- seller: translated into Portuguese and marketed in South America, it sold some 130,000 copies. The royalties, totally unexpected, enabled Noelene and me to purchase our small but lovely retirement home in Loma Linda. But maybe Jesus of Nazareth will soon rise to the top of my non-existent chart. 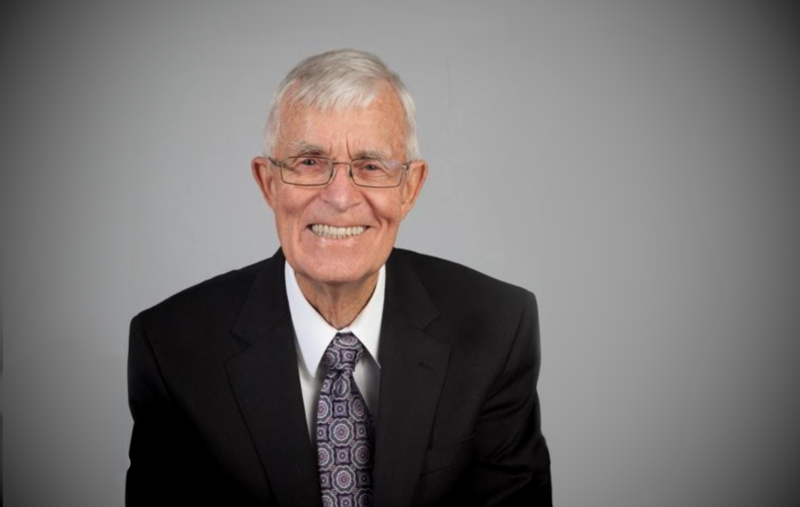 You served as editor of the Adventist Review for a remarkably long 24 years. How do you feel the Adventist church changed during that time? For better, for worse. Wonderful ministries, wonderful initiatives, creativity, more inclusive, greater involvement with society. Along with more materialistic, more involved in internal politics, still alarmingly racist and sexist. But you need to know that I'm bullish on this church. What differences do you see in today's Adventist media landscape compared to when you were at the Adventist Review? A mixed bag. We're great innovators — look at our history of utilizing the media — so of course we have global TV, satellite networks 24/7. I'm afraid, however, that content hasn't kept pace with advances in the technology. As far as official church publications are concerned, I'm distressed. It seems as though the official press has been muzzled. Uriah Smith would be apoplectic! What do you see as the most important issues for the Adventist church in the next decade? Well, check out my new book, due to come out later this year! I'll let you have the title, but no more: Where Are We Headed? Adventism After San Antonio. This isn't a promo — I'm donating all royalty receipts from the work. What advice would you have for Adventist media, like Spectrum? The Seventh-day Adventist Church needs you to get out the news and to foster constructive dialogue. So tell it straight and tell it honestly. Don't get caught up in muckraking or personal agendas. And be positive, help the people cope in these stressful times. Make hope your bottom line.